I’ve been meaning to post about Satellablog for months, but kept forgetting. Apologies to all involved. 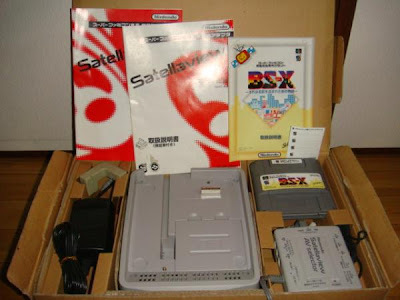 Satellablog is dedicated to all things Satellaview, the satellite-based add-on system for the Super Famicom in Japan. Arguably one of several forerunners to today’s PSN and XBLA download services. The problem is, the service contained a lot of exclusive content, available nowhere else (most infamously a special version of Zelda which was dumped). In addition, neither Nintendo nor any of the companies from the time are interested in archiving or preserving this rare data. So it falls to Kiddocabbusses and his comrades to source the memory packs from Japan, pray they contain a never before found download, and then dump them for the world. It’s an expensive mission (there’s a donation plea), but it does yield rewards, such as the Satella-shooting trilogy, which ties in with our own Dezaemon feature. 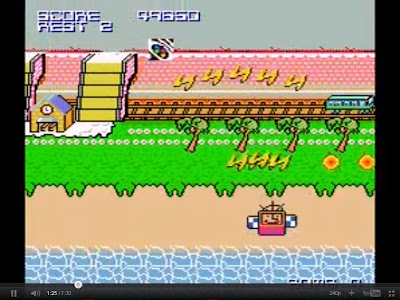 I feel no shame in saying that it’s absolutely worth donating a few spare dollars for the preservation of games history. Satellablog and its many ROM dumping specialists deserve our utmost appreciation and respect – because Nintendo sure as f*** doesn’t care about this stuff. Without us, the obsessive geeknocrats, history would simply die. My only criticism: create a proper site with easily navigable news archives. Blogs just don’t cut it for something so important. This reminds me of something I read from Nintendo (possible even Miyamoto) where paraphrased it was basically, we don't like re-releasing games because it means people might not buy new releases. Pretty impressive fan effort, like people trying to find the lost Doctor Who episodes. Thanks for the article! And apologies if the blog is too sloppy a format for you - organization is not my strongest point. I know a few folks at no-intro are trying to work on splitting the Satellaview ROMs from the main Super Famicom set into their own set, and I've also attempted to start up a wiki, which I honestly have not worked on personally as much as I think I should. That all being said,perhaps somewhere down the line I will toss up a sort of database to quick-jump to the ROM releases. I originally started Satellablog basically with Matthew Callis, myself, support from the BS Zelda Homepage and it's forumgoers, and a bunch of NicoNicoDouga video uploads, with Callis being the primary ROM dumper and my work mostly being research and documentation. Since then I've had enough other folks assist me that I can pretty safely say a "team" of sorts has been assembled, including MadHatter, who's the primary Wiki contributor, ChronoMoogle and ikari_01 of snesfreaks.com who have supplied me some very substantial ROM dumps (including the recent BS-X Shootng and BS Monopoly dumps), LuigiBlood, who's been working on BS-X Project and has been able to unearth a lot of technical info from it, and bluesun, who's a much better translator than I am. Besides ROM dumps, I also aim to have the Satellaview's various radio programs scheduled - especially the Soundlink presentations meant to sync up with gameplay. Games just aren't the same without them.